Does anyone remember me asking the folliwing question? "What do you think I'm going to do with this fabric?" Well the answer, my friends, is a "test run" on creating a two-toned cathedral window quilt (in this case, the test version is now a candle mat, I think). I used this method by Angela Nash of My Three Sons posted at the Moda Bakeshop. Let me first provide a "review" of the recipe. 1) Very well written with clear instructions. 2) Great she added notes on when to lin up sides or corners. It made a difference during construction. I have nothing negative to write, but did find a brief annoyance while working on this. However, since it may be a result of the fabric I was using or my inexperience, or both, I'm nog laying that onto Ms. Angela's instructions. You start with 9" square and fold it down into a tiny square. I used a simple black solid to offset my other two fabrics. Then you sew them all together. At this point, if you want to add a background color for the "peels" as I call them, you would cut the square to the size of the interior square and sew it straight down as close to the edge as possible. I thought I did a good job but...I found I had to try to hide the stitching with some careful folding and sewing later in the construction. The instructions said this would be hidden but in my mind that translated to "easily hidden". Still, it wasn't too bad and this is why we do test pieces, occasionally, right? Next, if you want to have a design/color in the center, you cut it to size and pin it down. Then you fold the solid over to create the rounded effect and sew each edge direclty down. Looks good, right? Yeah, the first one suckers you right in to thinking this is no big deal and you wonder why this block is thought to be so difficult. But then you realize, you are really concentrating to get the folds just right to cover the peel fabric sewing line as well as keeping the center fabric folded underneath the fold instead of getting folded with the fold and showing up. At least the sewing is simple once you get the folding down. Again, not too bad. I think my folding and sewing issues really were a result of inexperience and the fabric I was using. 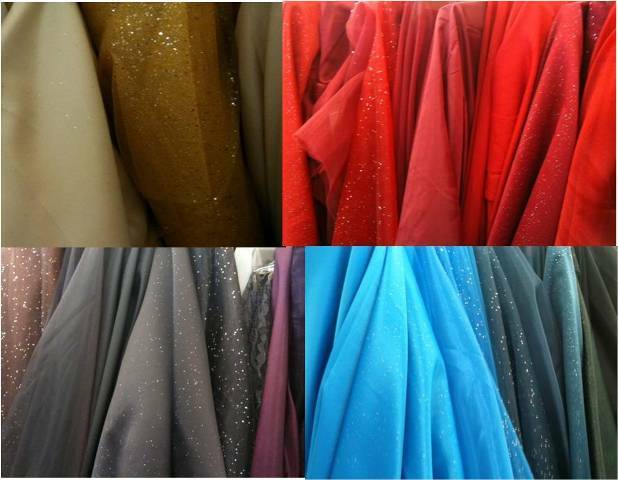 These were those clothing fabrics that you see, satin/polyester blends. A little stretchy, etc. So, my cutting of these squares was slightly off here and there. Also, they slipped a lot on the cotton. I desperately want to do a cathedral window quilt. I desperately do not want to do one without it having a big WOW result. I want it to look rich, decadent, special. 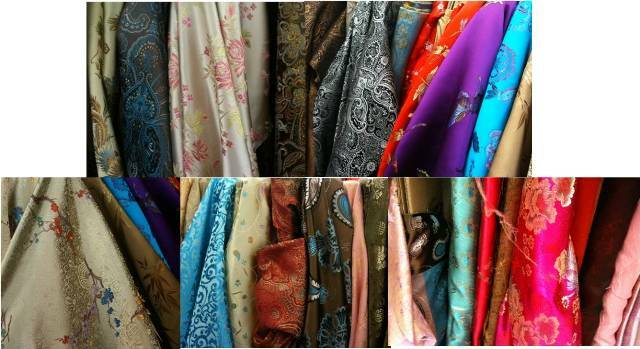 I've pondered many fabrics and colors. I've pondered for about 6 months now. Over easter, I bought the black fabrics b/c they were on clearence and I ccould test their look. Aside from the slipping, I like the way they look. I will search a little more to be sure it's what I want but I think I'll be using these types. Check out all the color. Don't you think they will look great in a cathedral window quilt? I don't yet know how many of the colors, whether all or any, I'll use but I do know I like the idea of these kinds of rich fabrics. We'll see. Are you excited? Even your test blocks look great to me...I can imagine the level of cursing and jumping up and down that would go on if I attempted one of those blocks. Im all up for a challenge but really ! Love the fabric range you're thinking of using. This quilt definitely needs to be smack you in your in your face gorgeous. I'm happy to provide free therapy and moral support when you need it! Go girl! wow, that is stunning. 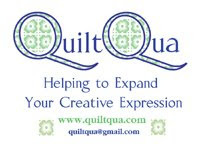 I so want to make a cathedral window quilt as well. I love the black and silver, just stunning! Your test blocks look great. I love the black, it looks very sophisticated. Your cathedral windows look awesome and yes, those fabrics will look awesome!